U.S. soldiers preparing for deployment to Africa to combat Ebola are only given four hours of Ebola-related training, the Daily Beast reports. 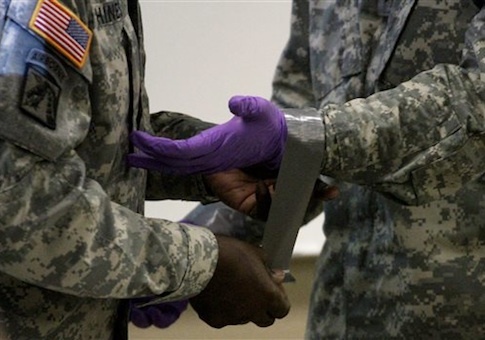 The training process sounds daunting: One USA Today report described soldiers being told that Ebola "basically causes your body to eat itself from the inside out" and that Ebola is "worse" than what soldiers encountered in Afghanistan. Others reportedly heard that the disease is "catastrophic" and "frightening… with a high fatality rate," though the chances of contracting it are low. "I’ll be honest with you," one soldier told the newspaper. "I’m kind of scared." The military maintains that the risk of contracting the virus is minimal. Ebola is not an airborne disease, and there are no plans for U.S. service members deployed to West Africa to have any contact with sick patients.